I hope you didn’t break your television. Out of disgust over this game or being forced to listen to Mike Carey. Ben Roethlisberger: While he did throw two interceptions, neither were egregious. Antonio Brown and Richard Sherman got, uh, let’s say tangled up, in one and Roethlisberger lost the handle on another, falling gracefully into a defensive lineman’s arms. On a day where the Steelers rarely ran, they needed a guy like Ben to step up. Sure, it wasn’t perfect, and he’s never been one to have a consistently strong deep ball, but he showed it enough today. His touchdown to Markus Wheaton was drop-dead gorgeous. Can’t fault him in this painful loss. Markus Wheaton: Have yourself a day, Mr. Wheaton. Quiet as a field mouse all year long, Wheaton came close to matching his entire 2015 output, finishing the day with 201 yards after coming in with 273. He made tough catches, he made big plays, he threw a key block on Martavis Bryant’s reverse touchdown. It was the breakout game we all hoped to see and few deserve it more than him. Interior Offensive Line: You could argue and give it to the line as a whole though Alejandro Villanueva faded in the second half. The Seahawks’ defensive line can get after it, even if the numbers weren’t always there, and to allow just two sacks on nearly 60 attempts is great work. Thought the line as a whole did a nice job picking up the Seahawks’ stunts. Cody Wallace and David DeCastro got a great push in the run game, notably early when the Steelers came out of the game in their heavy personnel. DeAngelo Williams: Williams wasn’t asked to do much on the ground. Only eight carries although he was able to find paydirt on the ground once. It was his contributions through the air that turned out to be most important, catching seven balls for 88 yards. His ability to get yards after the catch was remarkable and he was able to extend several drives because of it. He’s a tough runner who showed the burst we’ve seen all year long. He continued to do good work in pass protection, either staying in entirely or chipping out of the backfield. Chris Boswell: We’ll tip our hats to The Boz, too. Another perfect day, even though no kick was particularly difficult. But 3/3 on field goals and 1/1 on extra points is still solid. He also pushed Tyler Lockett out of bounds on a kickoff so kudos there. Jarvis Jones: Under the radar pick but I liked what Jarvis did today. Looked a little better on the edge, forcing a Russell Wilson intentional grounding near the end of the half. Played the Seahawks’ zone read well, sitting on the mesh, forcing the ball inside to the back, and working to make the tackle. Also puts his hand in the pile on kick coverage and had a tackle today. Not a lot of first rounders are willing to do that. Jones does without batting an eye. Red Zone Offense: Can’t put up well over 500 yards of total offense and find the end zone just twice. Unacceptable translation. The Steelers’ offensive is explosive, high-octane, whatever you want to say, but fizzles out in the red zone. It feels like the run and shoot of yesteryear. But it doesn’t mean much if they fail to finish drives. It’s their biggest issue that can be fixed this season. The talent is there, unlike some aspects of the defense, but they’re not putting it together. Mike Tomlin: You know he was going on this list. Yes, if trick plays work, they get praised and vilified if they don’t. But that isn’t a cop-out for all trick plays to be given a free pass. All I ask is for Landry Jones to not try and throw across the field to Villanueva. Bizarre call and one that should be criticized. As it will be. And the buck stops with for why Antwon Blake is still on the field. It’s time to get him, a man who is clearly injured, off the field. Not a clue why a switch hasn’t been made. The benefit of keeping William Gay in the slot no longer outweighs Blake being on the field. 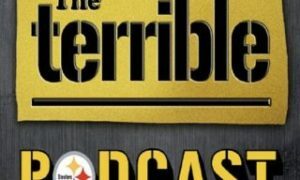 Keith Butler: Been a fan of Butler throughout the year but his insistance on staying in the Steelers’ cover three shell killed Pittsburgh today. I saw a lot more of it on third and longs when the team usually plays 2 Man. Thought that was a curious decision. We’ll have breakdowns of it throughout the week of the exact issues. Martavis Bryant: I think Bryant is a mentally resilient kid who bounces back from negative plays, which there were today. But today was an opportunity to really show he’s a great receiver who can make the most difficult catches. He was too inconsistent winning the 50/50 balls. There were some fine defensive efforts, notably by DeShawn Shead, but the great players have to make great plays. Bryant isn’t quite there yet. Will Allen: Allen continues to struggle bringing ball carriers down in the run game, getting taken for a ride by Thomas Rawls early in this contest. It isn’t that he is contact-shy but the product of an older player who doesn’t have the lower leg drive to finish plays. Later, he failed to carry Doug Baldwin on a wheel route, allowing one of three touchdown’s scored by Baldwin on the day. It was questionable to let Allen start when he got healthy but now, there is little doubt Robert Golden should be the team’s starting strong safety.